Lady Adelaide Home was established as a result of a donation, in November 1883, by the Rev. K. H. Law, a former rector of Croft, to the Church Extension Association. The Rev. Law stipulated that his gift of £3,000 was to be used for the building of a Home for Destitute Boys, in memory of his late wife, the Lady Adelaide Law, a sister of Lord Londonderry. The Home was subsequently constructed on Christchurch Avenue, Brondesbury, and could accommodate 50 boys. 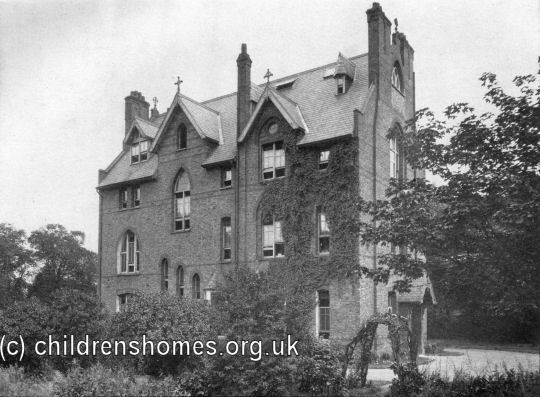 The Home was run by the Community of the Sisters of the Church, an Anglican sisterhood of nuns sometimes referred to as the Kilburn Order, in conjunction with the Church Extension Association, who operated a number of other institutions. The stated object of the Order's homes was to help 'those girls and boys who are literally without a friend in the world.' In practice, this comprised girls who had lost both parents, had no other relatives capable of supporting them, and had no-one else willing to fund their maintenance at a paying orphanage. Wherever possible, the orphanage took members of the same family. The Home was still in operation in 1939 but had closed by the 1950s. Malorees Primary School now occupies the site. Community of the Sisters of the Church holds records for homes run by the Order. Enquiries should be directed to: The Community Archivist, Community of the Sisters of the Church, 10 Furness Road, West Harrow, Middlesex HA2 0RL.